Melt margarine over medium-high heat. Place the chopped potatoes, carrots, apple, garlic and onion. Cook until onion translucent. 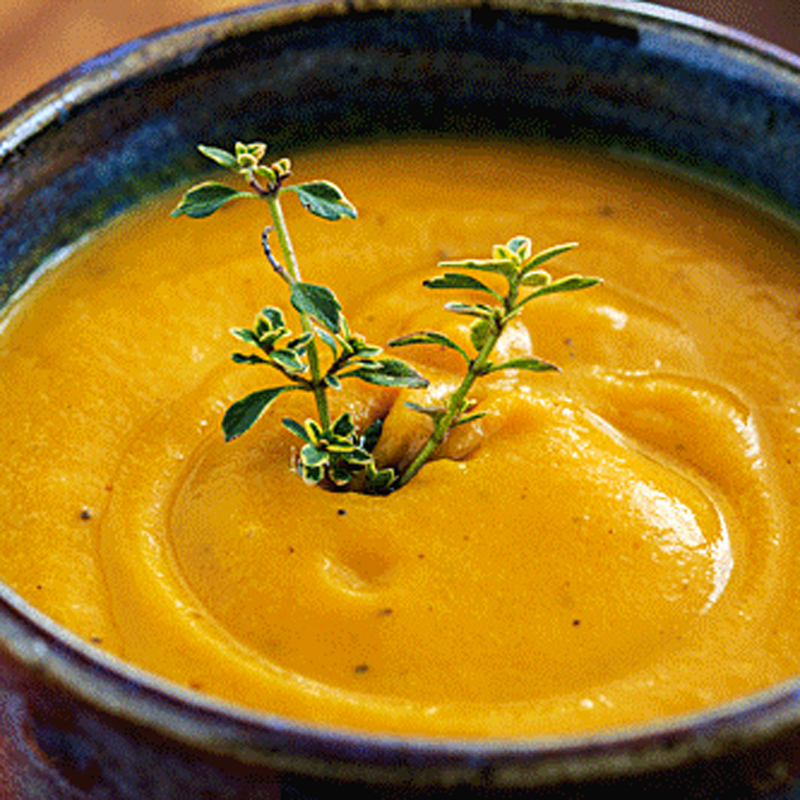 Pour the soup in a blender in batches and puree. Be careful not to over blend. Return to pan to maintain temperature. If desired serve with a dab or yogurt and ginger, garnish with thyme. Instead of chili powder you could use curry powder, which has turmeric for extra antiangiogenic oomph. I prefer red curry but that is a personal taste.